Lifting gloves, like most supportive strength equipment, have their time and place in the gym setting. A lot of bodybuilders and calisthenic athletes will reach for gloves to prevent excessive wear and tear on the palms. Grip Power Pads was founded in 2009 and creates multiple types of supportive strength gear. 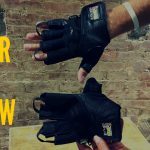 In this review, we put the Grip Power Pad Pro Lifting Gloves through a variety of tests to see how versatile they can be in the gym. In our gauntlet of five lifting tests, we assessed how these gloves performed with: Grip, versatility, feeling & fit, construction, and price. Shop Grip Power Pad Gloves HERE. These gloves lack a wrist support (Grip Power Pads does make a model that has it, but these are their more basic design), so I’m always curious to see how they’ll hold up in multiple movements, especially dynamic grip work. 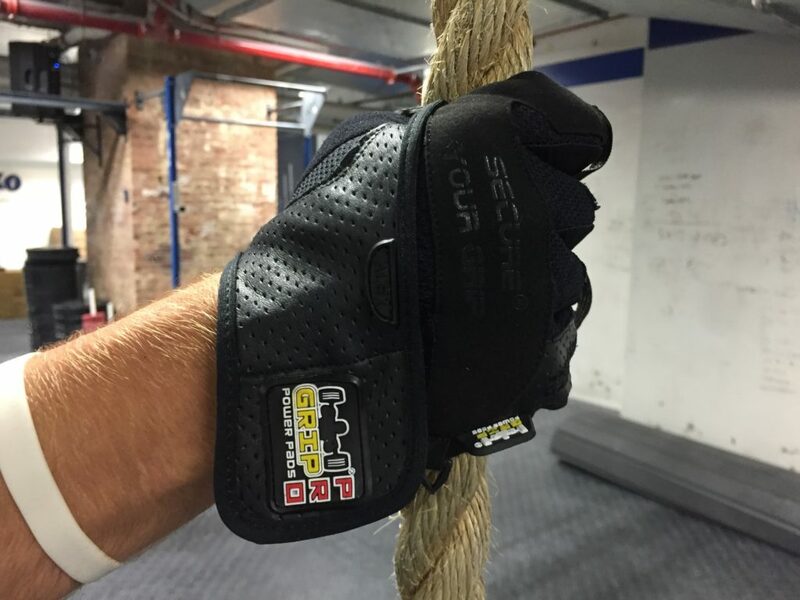 We tested these gloves with rope climbs, pull-ups, and dumbbell rows. For rope climbs, these gloves were a little off putting, and I found them to actually make the movement tougher. Did they protect my hands? Yeah. But they slide around a lot and the loose finger holes made reaching for more rope somewhat tough. Pull-ups felt a little better with this glove, but I wasn’t a huge fan of the rubber inserts along the palm. They increased my grip on metal until there was a little sweat, or moisture, then it they became a little loose. If you’re excessively sweating during a workout, then I could see this being an issue. Dumbbell rows felt similar to the pull-ups, and I liked how the grip felt until there was moisture involved. The only difference is that the knurling on the dumbbell helped prolong the glove’s usefulness, but it still became a little loose as I progressed through my lift. I think these gloves could be versatile, but I’m not fully convinced. They felt exceptionally good on metal, but at the end of the day, they performed poorly with rope climbs and when there was any form of moisture in contact with the glove. For someone doing static movements, or let’s say a slower bodybuilding-esque day, then this gloves could be a good fit. But for the functional fitness athlete, or someone doing high intensity exercise where they’re more prone to sweating, I think this glove could inhibit progress. In terms of feeling, aside from performance, I thought this glove felt pretty good on the hand. It’s not the heaviest glove I’ve used, and I’d say it sits in the middle of the road for weight. There seems to be a mixture of nylon, leather, cotton, and rubber inserts, which make the glove feel somewhat like a football glove (minus the full palm grip, of course). My hand is around eight inches from middle finger to the edge of the palm. 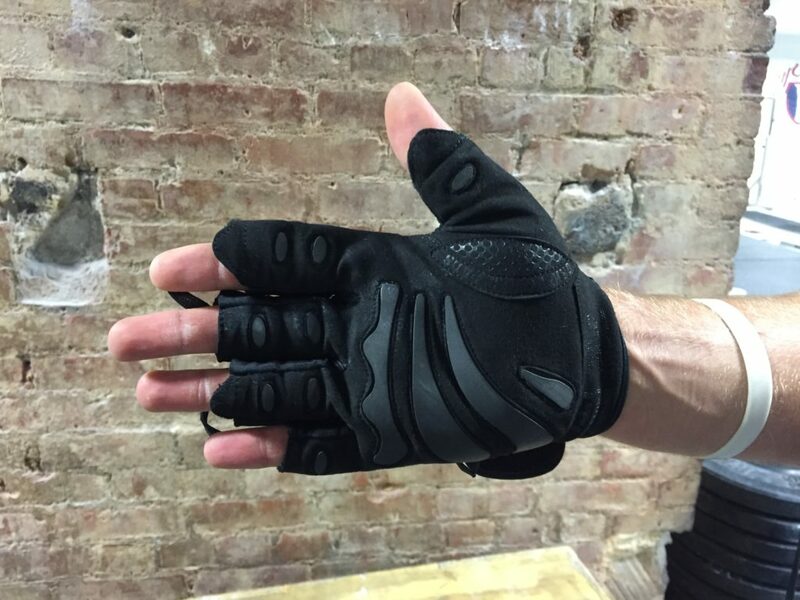 We tried their large sized glove, and it’s designed to fit 8 1/8″ – 8 1/2″ hands. I thought the glove hugged the palm well, which I liked, and it hugged especially tight around the meaty part of my thumb. One thing I noticed was that the finger holes were a little loose, and that could be problematic for someone with skinny fingers. From what I can see and feel, this glove is constructed with nylon, a cotton, a leather-esque material, and has rubber inserts. The combination of these make for an interesting glove offering multiple textures and feelings when gripping. I never sensed any immediate durability problems, but I could see the rubber inserts being a potential issue with prolonged wear and tear. Possibly the coolest part of this glove was the finger hooks that sit on top of the finger inserts and allow you to easily pull the glove off and on. The price for this glove varies, as it comes in two variations, one model is just a glove (like we reviewed), and the other model has a 2.5″ wrist wraps. Their price ranges from $16.95 – ~$35, depending on the model you buy. I feel like this is a fair price for what this glove has to offer. 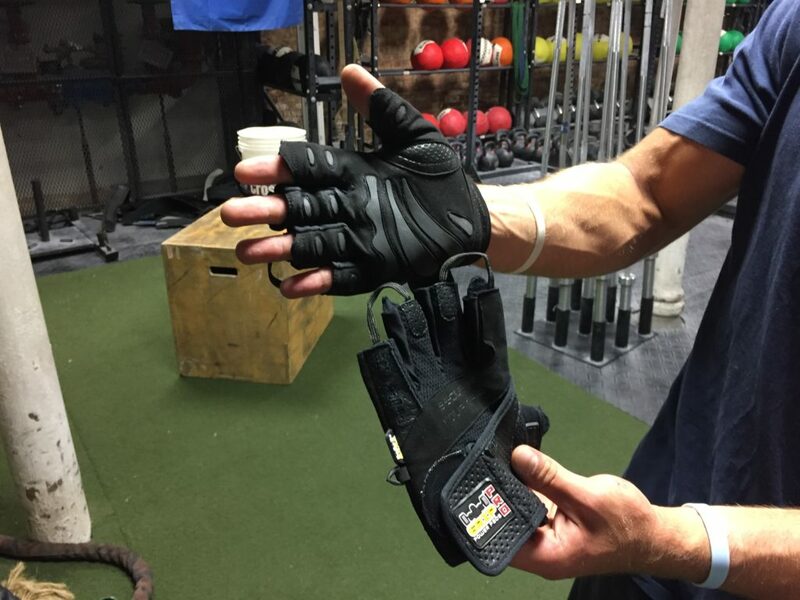 But for the functional athlete who needs a more secure glove, then they may fair better with a different, possibly pricier glove designed for dynamic grip work. The Grip Power Pad Pro Lifting Glove was a unique blend of materials. I liked the finger hooks that allowed taking this glove on and off easy. I also thought the rubber inserts helped when initially gripping metal. Yet, I wasn’t a huge fan of how they moved on the hand during rope climbs, and as I got progressively more sweaty. For the athlete who’s performing more static grip work, then I think the Grip Power Pad Pro Lifting Gloves could be a good fit.